GET STARTED ON YOUR LABOR DAY SHIRTS TODAY! Guarantee you get the UNION made shirts you want before they sell out. Click the "Design Now" button to get your Local the best shirts, because they deserve it! All you need to do is respond to this offer, before time expires, and get started on the shirt design and quote. 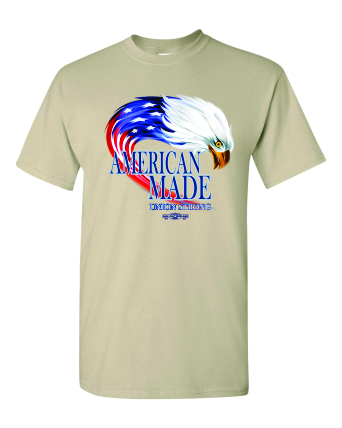 We will get your USA made shirts, get the design approved, and send you a quote or proposal to make your job easy. We got you covered! As long as you give us your design idea in time, our artists can create you a custom and amazing design that you will be proud to wear. It costs nothing to get started! 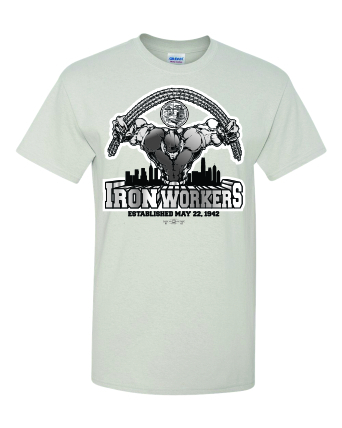 We are your Union Shirt Experts – Designed and Printed in USA! Signatory with IUPAT Local 47. First off, I want to make sure you realize we are truly a Union workplace – no tricks. 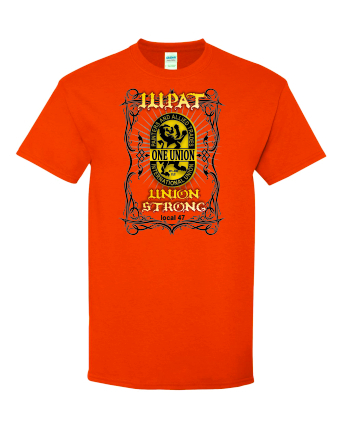 We are signatory with Painters and Allied Trades (IUPAT) Local 47 in Indiana. Both our graphic design staff and our print shop employees are “check off” dues members who enjoy health and welfare plus pension benefits under a 3 year CBA. 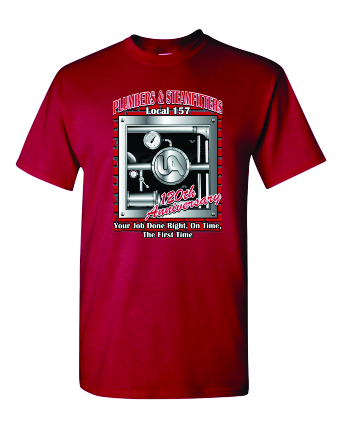 When you work with me, your shirts will be UNION/USA MADE, UNION DESIGNED, and UNION PRINTED. Most other “union printers” can’t claim any of that. Let’s make sure you don’t get caught ordering at the last minute when stock is unavailable. 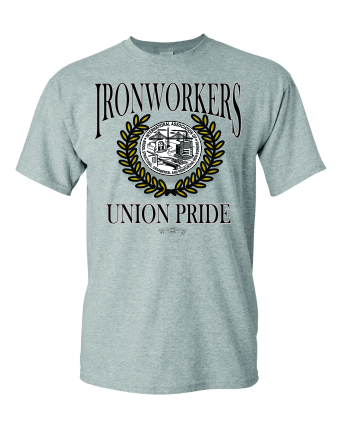 Most UNION made shirts are only stocked at low levels and then replenished when sold out. That “restocking” process involves cutting and sewing the shirts and can take 4-6 weeks. Placing your order in advance will allow for plenty of production time and guarantee your order. Make sure you take the opportunity to lock in your order as early as possible. We only require a “half down” payment when you place your order. We’ll go ahead and immediately place the order for blank goods and get them into our facility as soon as possible. We can then print and deliver them directly or wait until closer to your event. If you are working with a planning committee for Labor Day festivities, it can take some time to make a final decision. In fact, it may take a few meetings to agree on artwork, style of shirt and budget – adding weeks, if not months, to the process. By starting the process early, we’re able to work through your deadlines more effectively. We’ll provide you quotes with options for garment, number of colors in the designs, price points – whatever you need to make the approval process easier. Our Artists will create an eye catching design that will show your UNION Pride. Whether you need shirts to wear on the job, at the Labor Day festivities, or you plan on selling them to other members of your Local, we will make you stand out. 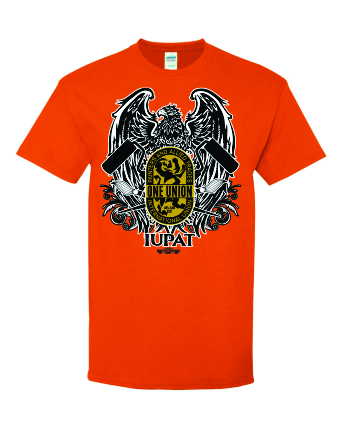 Here are just a few of the Union shirts we have designed for our brothers and sisters. How can Graphic FX help you? 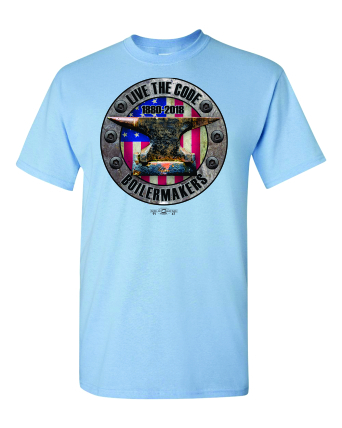 Your members are going to want a shirt they can take pride in wearing. We understand that an awesome design makes the difference and sometimes that’s hard to get. Some t-shirt vendors even require YOU give them the design. Not us – we take great pride in our ability to work with customers to get their shirts done right – especially the great custom artwork. I want to make it super easy for you to start working with me and experience how “Customer Service” works. I want to be your “go to” expert for anything you need custom apparel related. 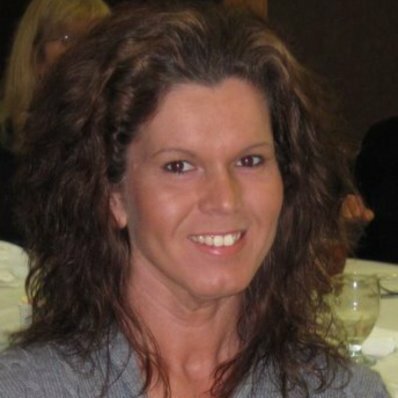 Give me a chance to earn your business! 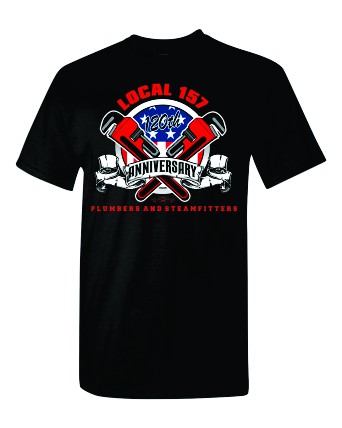 Your members want to show their UNION Pride by wearing their local’s custom printed apparel on and off the job. I have the styles that your members will want to wear over and over again! We have you covered for all your custom product needs. Hats, Pens, Cups, Signs, Stickers, Pins, Banners, Coozies and Much More. If you need UNION made and decorated promotional products to sell or giveaway give us a call, send us an email, or stop by our shop and we can discuss your options. All you need to do is respond to this offer, before time expires, and get started on the shirt design and quote. We will figure out what shirts you want, get the design approved, and send you a quote with free custom artwork. Say Hello to Stephanie! Your Union Shirt Expert. I am a member of IUPAT Local 47. I am your Union Shirt expert with an eye for quality. I know what it takes to get the job done on time. No commitments or misleading info, I am just passionate about growing the Union community, and passionate about my job!